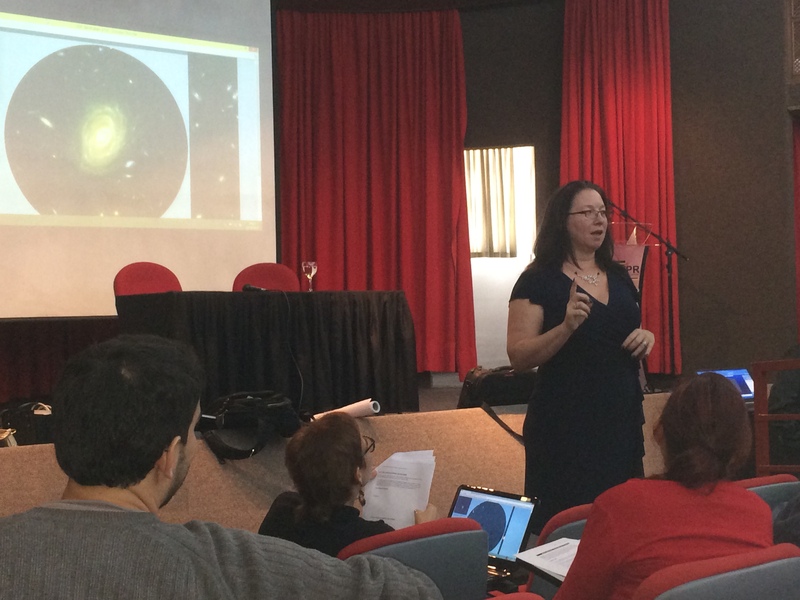 This is the third in a series of blog posts on innovative college astronomy teaching written with the straight forward goal –> to provide busy faculty with easy-to-implement teaching strategies that dramatically improve the student learning experience. The first and second blog posts are available online. … the process by which what is written on the teacher’s notes gets transferred into students’ notebooks without passing through the brains of either. In other words, to engage students’ brains—and yours—you need INTERACTIVE LECTURE TOOLS. The first step toward rethinking and refocusing the teacher-centered lecture to a learner-centered classroom where students are intellectually engaged is to accept that much of the responsibility for learning resides squarely on the listener—not actually on the lecturer. But, don’t worry, there is still plenty for the professor to do!! The role of lecture in a learner-centered class perspective still exists, but is radically shifted from dispensing knowledge in a conventional course to a focus on guiding students through meaningful learning experiences as a learner-centered experience. So, the pathway to giving great lectures is actually to say less during class and change listener behavior from passive to active! This is not terribly difficult to do, nor does it dramatically reduce the amount of information you can cover; but, it does take a intentional pre-planning and a commitment to it being important. This works incredibly well and professors who have gone down this road toward more active student engagement rarely back to the old way of just teaching by telling. The key feature of any learner-centered approach is to ask questions. To be sure, a pointed suggestion of asking some questions during a lecture might seem a tad silly. However, the number of professors who actually pose non-rhetorical questions during their lecture is astonishingly small. An even smaller portion of professors actually pause and wait long enough for students to answer! Probably the biggest mistake that professors make when posing questions to the class is to pose cognitively low-level questions that are too easily answered by the students relying on preexisting declarative knowledge. Classrooms of students responding quickly, and in unison, is often mistaken for meaningful dialogue. This is widely known as choral-response. If all the students in the class can recite and answer without thinking about it, it’s probably a waste of valuable class time.  What is a planet?  How many planets are there around our Sun?  Why is Mars considered an inner planet?  Should this newly discovered object be designated as a planet? If you’re surprised that people tend toward asking easier rather than harder questions, consider the considerable attractive strength of the siren’s song of easy questions. Posing easier questions more often results in students’ rapidly responding, thus avoiding awkward silence in the classroom. Posing easier questions more often results in students giving correct answers rather than incorrect answers, thus avoiding embarrassment on all parties. Posing easier questions are quick to design, thus making class preparation time more efficient. And, posing easier questions usually don’t require long duration answers, thus allowing the professor to more quickly get back to the business of lecturing. Taken together, its no wonder that people are inclined to only ask easier questions. Alas, easier questions do not support a professor intent on helping his students to love learning astronomy because the beauty is in beginning to understand the Universe’s complexity. Our recommendation is that the best posed questions should be hard enough that students need to create an idea in order to answer them, but not so difficult as to discourage students. This is definitely a fine line! The most useful questions carefully crafted to lead the students to deeper levels of understanding or to illustrate the power of scientific ideas. Another attractive distraction that can pull you off track from creating student discussion in class besides too easy questions are “useless questions.” Questions should drive an energetic conversation between the professor and students and questions such as “does everyone understand?” and “do you have any questions?” do not provide the professor with any desired insight into whether or not the students actually comprehend the ideas being presented. If a professor pauses and says, “everyone with me?” students naturally respond by silently nodding their heads, whether or not they understand. This common practice is so ingrained we might not even notice when we are doing it. Questions need to be purposeful. Know what I mean? The second challenge to effectively posing question in the classroom is providing sufficient wait time. When posed a question, students need the professor to stop and wait. This wait time provides students with a moment to consider the question, consider a plausible answer, consider alternatives, then decide they have sufficient confidence to respond. This cognitively complex process takes time—a lot more time than professors think it should (because experts already know what the answer is). It takes even longer if the class contains students who are not native English speakers. Studies have shown that if a professor can wait at least ten seconds—which often seems like an eternity when standing alone in the front of the class—then many more students will provide responses and responses will be more varied and nuanced. This is exactly what stimulates intellectually engaged conversation and drives students to become more motivated learners. As a starting place to find questions worth posing to students, consider the end-of-chapter questions from your carefully selected textbook. Although they might not be perfect, such questions can be adapted readily to encourage student contemplation. Another approach is to have an object, simulation, or a demonstration available to create questions around. Lecturing about science and technology has a distinct advantage over other disciplines in that demonstrations, whether physical or computer-based, can be provocative, provide illustrative clarification, and, most importantly, excite the learner through direct experiences with unexpected phenomena. Most astronomy professors remember the numerous demonstrations from introductory physics, but are often at more of a loss for demonstrations in astronomy. Expert professors capitalize on the human condition. Humans are social animals who respond to accountability. What this means is that a student who knows the professor is paying attention to them measurably performs at higher levels than students who feel like they are anonymous. What this means to professors who want to receive high end of course evaluations is that students will score professors high if they perceive that the professor values them and cares about their learning. The most efficient way to do this is to frequently call students by name. Really! Before mounting a list of objections to why it is impossible to learn the all the students’ names, it is worth considering your own perspective. How do you feel when your accomplishments—or even just your presence—is noted at faculty meetings or in a Department newsletter? Being “seen” or “acknowledged” is an indicator of being valued. Being noticed makes people feel valuable, and people who are valued perform at higher levels of excellence. 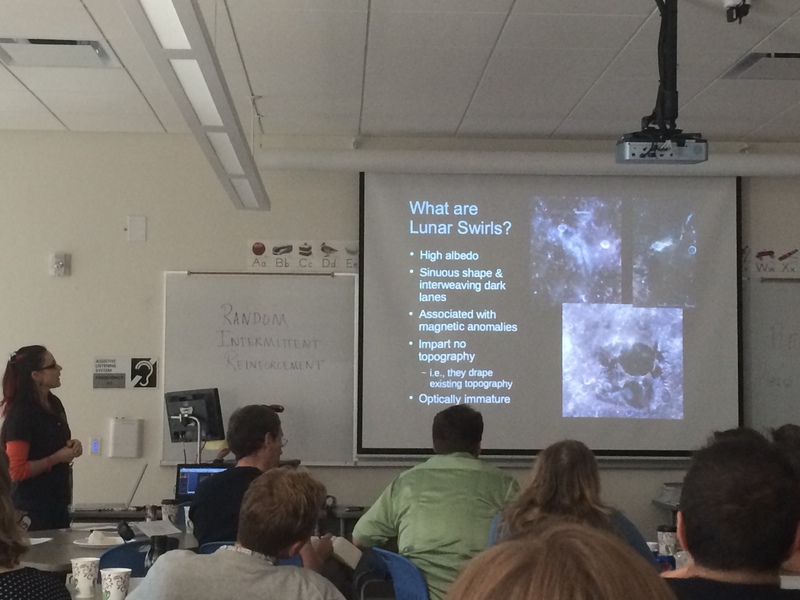 This is critically important for a professor who wants students to believe they want them to love learning astronomy. The bottom line here is that the benefits to learning students’ names and using them are innumerable. One benefit is that calling students by name increases student responsibility and student accountability. For example, if you are walking across campus and say to a student, “Hi Pat, missed having your enthusiastic responses in class earlier today, is everything ok?” helps to ensure that Pat won’t miss class participation again. Another is that it makes a professor seem more human, which helps students give one a little leeway for teaching missteps at course evaluation time. Knowing students’ names also helps to avoid our natural inclination to respond to what is most immediately in front of us. Unfortunately, it is far too easy for a lecturer to hold a discussion with only the students in the first few front rows. It doesn’t take too many sessions before students farther back in the classroom realize that questions posed by lecturers without accountability systems don’t actually need to be contemplated because only the first few rows are required to respond. As a result, some system that holds all the students accountable needs to be implemented to be effective. Some lecturers draw names from the class enrollment list at random from a hat to ask specific students questions and evenly ask people throughout the audience to participate. One popular technique is to write students’ names on popsicle sticks using a color code that distinguishes male names from female names so that faculty can evenly alternative between males and females even though the process appears random to the audience. There are far too many name-face-memorization strategies available to list here. With a little bit of Internet searching, we’re confident that the perfect approach will present itself to the reader. Probably most common is to take pictures of students and create an approximated “seating chart.” This works well because students rarely change their seat location after the first week of class or so. It takes up some valuable class time, but pays enormous dividends in convincing students that you value them as individual learners instead of a necessary inconvenience. Acknowledging that some professors are terrible at name memorization and that one of us is certifiably handicapped at successfully learning student names, a Band-Aid approach is to insist that students fold over a piece of paper as a nametag at the edge of their desk every class. College students often consider their relationship to the professor as adversarial. Purposefully asking students meaningful questions and calling on them by name is an important first-step for warming an otherwise chilly classroom climate. These warming effects can be quickly multiplied if a professor takes extra steps and leverages the innately social nature of college students. Professors often lament that if students are given a chance to talk amongst themselves, that students will be out of control. Reframing this to be more student-positive, a repeatedly successful strategy to capitalize on students’ social proclivities is to pose a multiple-choice question to students in a three-step think-par-share format. Sometimes called Peer Instruction or clicker-questions, there are a variety of ways to accomplish this, but what follows is the most straightforward. What direction does a comet’s tail(s) point? STEP ONE: Students in the classroom are asked to individually THINK about a posed multiple-choice question and then, without talking to anyone else, commit to and vote on an answer. It is crucial that people actually commit to an initial idea so that they can actively compare their initial thinking with any new understandings that might result after discussion with a peer. The expert professor always asks the students to vote simultaneously and anonymously. This can be done by holding one, two, three, or four fingers close to the chest to respond such that only the professor can see, reducing a students’ risk at publically revealing a potentially embarrassing misconception—and to keep students from mindlessly copying each other’s answers. Colored or lettered index cards can also be easily used. Even a folded piece of paper works with large A, B, C, and D letters crudely written in each quadrant. The important piece here is that students are committing to an answer and you are getting information on their understanding. STEP TWO: The second step is to ask students to PAIR with another person in the class, usually the one sitting next to them, and to SHARE their answers. It is critical here that students not simply share which answer they think is correct, but actually verbally articulate the detailed reasoning behind their answer. In the most common implementation, we ask audience members to convince their neighbor “why their answer is correct.” After a minute or two, at most, of collaborative discussion, they are then asked again to respond, or vote, to the question a second time. The are many underlying reasons that this peer-teaching works so well. One is that when students struggle to explain their thinking, they are building better conceptual models—this is the same mechanism underlying when professors say that they never really learned physics until they started teaching it. In other words, explaining an idea to another human improves ones’ own understanding. A second is that student-peers share similar language, experiences, and metaphors that are often unknown to professors which can help better explain a concept: Students can often explain ideas to one another more effectively and efficiently than professors can. These are notions a master professor thinks is worth capitalizing upon. STEP THREE: The final step is to ask students to again simultaneously and anonymously vote again. The professor is then in a position to determine if most of the students are “getting it” and can move on to the next lecture topic or if many of the students are still struggling, and re-teaching needs to occur. 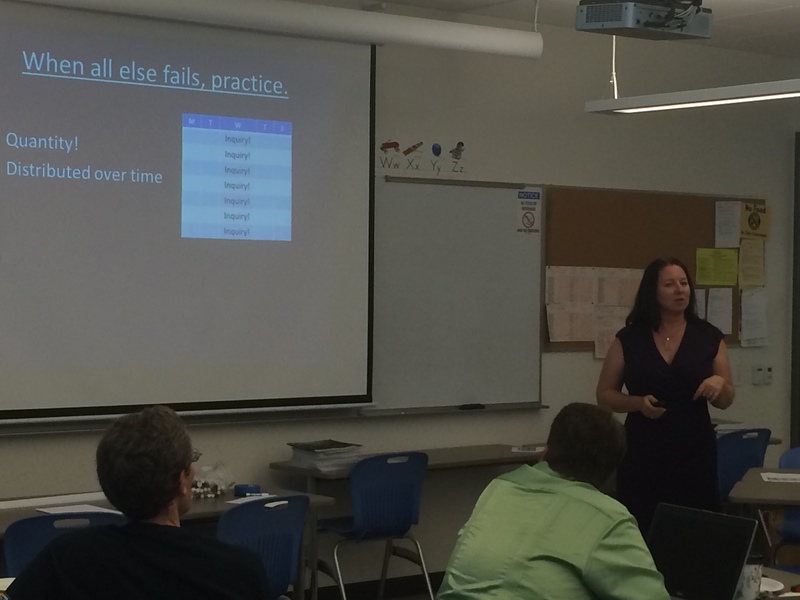 This feedback for pacing the speed of instruction is critical. This third step is also a time for the students to get immediate feedback from the professor about if they are getting the ideas correct or not. Students flourish—and give better course evaluations—when they know whether or not they are understanding the concepts. As a side note, we don’t often blatantly tell students, “the correct answer is “C”, but instead usually say something more vauge like, “the key idea to getting the correct answer here is ________” emphasizing the conceptual approach for answering the question, rather than rote memorization. A second, but similar approach is to use calculator-free mathematical reasoning tasks. Questions like these ask students to quickly judge or rank magnitudes emphasizing the quantitative nature of astronomy. Which is largest? Which is farthest? Which planet is farthest? 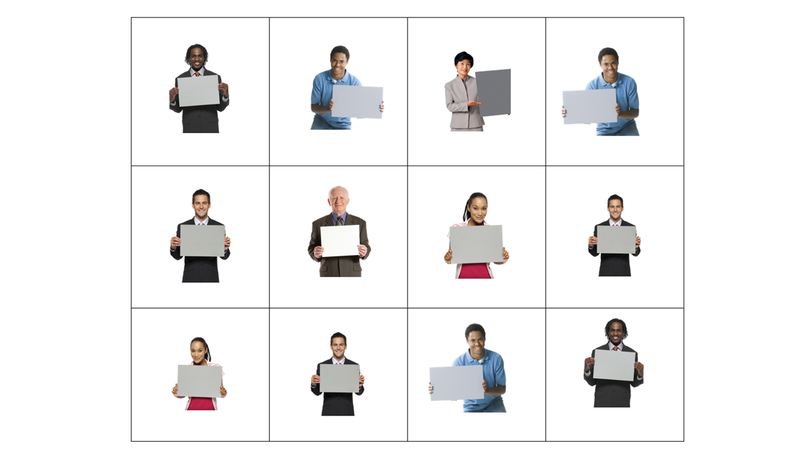 The underlying hope of the think-pair-share, clicker-voting questions approach is that through social conversations with peers, students will develop a more complete and nuanced understanding and the voting allows professor to carefully monitor the students’ conceptual growth. In other words, THINK-PAIR-SHARE is a strategy for a rich feedback mechanism and more of the highly valued interactions between professors and students. Certainly some questions work better than others: We find that vocabulary questions rarely work because there is nothing conceptual to discuss. Among many places, libraries of voting questions, sometimes called “clicker questions” are widely available through publisher’s websites of instructor resources and its usually more efficient time wise to borrow other’s created questions instead of always devising your own. All learner-centered lecturers have at least one thing in common—the students are actually creating products rather than just passively listening to a lecturer dispensing knowledge. Students in even the most basic of learner-centered learning environments do more than mindlessly recopy notes projected by the lecturer. Using Mini-debates consistently engage students in scientific thinking and discourse. The general idea is to challenge students to critically review a given and highly-structured “student debate,” which expresses common naïve ideas in student’s natural language. Consider two students talking about astronomy. With which student, if either, do you agree and why? 1(A) – Pat says: The seasons occur because in the summer, Earth is closer to the Sun. 2(B) – Chris says: I disagree. The seasons occur because there are more hours of sunlight in the summer than in the winter. Students are asked to commit to a judgment on whether or not they agree or disagree with two, clearly stated hypothetical “student statements” and generate explanations of their reasoning. We say highly-structured here because widely unconstrained tasks like “splitting the class in two halves and each has to debate the two sides of whether or not Pluto is a planet or if Andromeda is within or beyond our galaxy” rarely work as well as initially envisioned. In contrast, a mini-debate provides students with the precise language that they can use for discussion. And, fortunately, takes far less class time. Experience suggests that modifying existing multiple-choice questions from old test-banks often provide excellent starter-material for rapidly developing new student mini-debates. The strategy here is to first pull out the correct response and the most common incorrect response from an existing multiple-choice test item. Then, take these two choices and reword them into a student debate using more casual but increasingly complex natural student language. The bottom line here is that the most valuable role of an expert is not to simply tell students what they know; rather, it is to use their unique expertise to build rich scenarios for students to analyze using novel ideas. 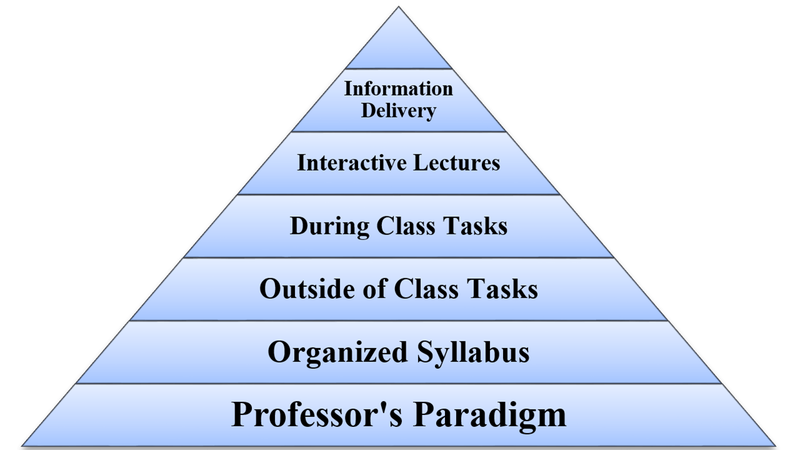 Adding the pedagogical tools of invitations to learning, predictions of demonstrations, think-pair-share questions to discuss, mini-debates to be analyzed, and sample test questions, will dramatically improve the intellectual engagement of your students if they can see how these aspects improve their learning and course grades. In other words, be sure to show students precisely how these things show up on your exam so that students know you are working hard to help them be successful.